Ohhh Japan I can't get enough of you. Yesterday I turned back home from my third trip to Japan. 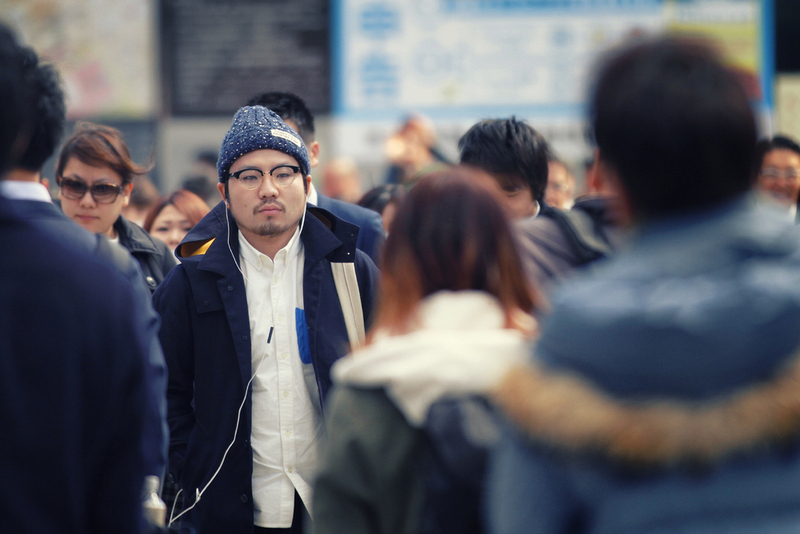 Finally I feel confident enough to write a new post about this gigantic city of Tokyo. This was the second time I had visited Tokyo within a year. I can't tell that it is one of my favorite cities, but I appreciated Tokyo everytime, because it has so much to offer. Nevertheless it never comes easy! The capital of Japan, formerly known as Edo, is sooo H.UG.E. The public transportation system is almost flawless, the japanese train network is the best one i've ever experienced. However it can easily take up to 45 minutes, to reach your destination. So in my case, I really wanted to have a pit-stop at different coffee-shops or jazz-bars, while wandering through the city. However sometimes it took me 40 minutes of a subway ride to get my special treat, and if you keep fullfilling your little wishes on a daily basis, it's gonna cost you a lot of time and energy. On my first trip, I stayed 6 nights in Tokyo, and this time I stayed another 6 nights. I guess I've visited the most famous spots in the city, and still I haven't witnessed all the magic of that vivid metropolis. I could list the most interesting parts of Tokyo on this post, but other bloggers, and travel-websites have already done this before me. Check google, and you will get endless lists of the "must-sees" of Tokyo. I will write you, what made Tokyo special in my opinion. After my first experiences in Tokyo, and after having read several books of the famous japanese writer Haruki Murakami, I got my own vision of the capital. I put my main focus on music, food, bars, coffee, and the "traditional" sights. After New York City, comes Tokyo, which shows a lot of interest for Jazz, Soul, and Blues Music. There are endless jazz venues, soul bars, and the tiny cosy pubs which only host a handful of customers. Those places will give you the nostalgic feel of these old, but never fading, music genres. There are some famous places like "The Blue Note", "New York" (remember the bar from Lost in Translation? ), "The Cotton Club". In almost every part of Tokyo you will find a cosy jazz bar, with dimmed lights, and the smell of whiskey and cigarettes crawling out underneath those wooden doors. In Shinjuku, at the popular nightlife district called "Golden Gai", you get the choice of a 100 to 200 bars. Even Quentin Tarantino loves to spend some time at the bar "La jetée" in Golden Gai, while he's in town. Most of them can only host 4 to 10 people. It's all about the intimate athmosphere, where strangers meet the locals. I was told that foreigners wouldn't be welcomed at "Golden Gai", but i can't agree with that. In almost every bar I've been to, I got in touch with japanese locals, and I felt very welcome. Ok, it might have been because of the booze! :) Besides the bars & clubs, you can spend hours at record stores. Vinyls still seem to be very popular in Japan. There are plenties of record stores! And last but not least, expect to find a good concert every evening. Check out the website "Songkick", enter the actual city, and you get a list of what's going on, concert wise, at night. Food, Food, Food... everywhere. But where should we start? I really can't recommend you any restaurants. I never had a bad lunch in Japan. And there are millions of different food places in Tokyo. Ramen-Shops, udon & soba restaurants, izakayas, streetfood- stalls, food-courts... You get the idea! After breakfast, I was already thinking about what I could or should get for lunch. Japanese food is so delicious, and they have a lot of different dishes to check out. Feel free to check out my previous blog-post about the diversity in japanese cuisine: Itadakimasu. Before I forget, don't think that the sushi at the Tsukiji Fish Market is the best you're going to find in Tokyo. There are a couple of sushi shops at Tsukiji. For some restaurants you will need to wait in line for half an hour, until they let you squeeze yourself along the customers to get a seat. And all that early in the morning at 7:00am, when you're looking forward to get the freshest sushi for breakfast. We opted for a different one. Hey it's just sushi! And you're not getting a reservation at Jiro's restaurant! It's still a fish market. The sushi we got, was certainly fresh, it gets delivered directly from the market. But it was the only place, where the waiter was rather unpolite, and it was a lot more expensive than at different places in the center of Tokyo. During this trip I got my best sushi at a small local not-fancy place. So don't expect too much from Tsukiji Market. If you're traveling with kids, avoid the market as well, it doesn't take much to get hit by those tiny delivery trucks racing all over the place. Green tea, matcha, we've all tasted it in Japan, and we all loved it. We tried matcha-motchis, matcha-kitkat, matcha-cake, matcha-baumkuchen.... Everything is matcha in Japan! But don't forget about the coffee! There is no lack of coffee culture in Tokyo. Expect to find the same fancy places where hipsters hang out, the snobby neo-modern coffee corners, or the classic coffee bars, which have been in Tokyo for ages. There's a coffee-bar for everyone's taste! I checked out a couple of coffee spots in Tokyo, and will write a blog-post about it later. Ok, breakfast, coffee, lunch, tea or coffee, dinner. How are we supposed to put anything else between those free spots in our travel-schedule? My three favorite spots to hang out in Tokyo, til today, would be Asakusa, Shinjuku and Shibuya. Asakusa is surrounded by the Senso-Ji temple, the Kaminarimon gate, lots of tourist stores which sell kimonos, wooden sandals, tenugui towels, and endless izakayas and restaurants. If you get over the tourists in that area, you can enjoy the "tradional" vibe in that area. It's one of the few places that reminded me of Kyoto or Osaka, two japanese cities, who have of lot more of japanese culture to offer. Especially at night it can be very charming. Call it a tourist trap, but I enjoyed Asakusa everytime I spent some time over there. Shinjuku and Shibuya are almost alike. Shinjuku is on the adult side, and Shibuya attracts more of the younger crowds. Both parts offer the right mix of shops, restaurants, bars, and clubs. If i'd have to spend the nigth in Tokyo, I would go to one of either places. But again, there are too many bars and food places. Just walk through the streets, and hop in. Lots of famous places are located on a higher floors, or just in the basement of a bigger building. Another concern would be the night trains, there are none! So if you plan on going out in Tokyo, you gotta jump on the last train home, around midnight or 00:30am, or you go through the night, and catch the first train in the morning around 05:30. Taxis get VERY expensive in Tokyo, we did it once, and learned from it. On weekends a lot of people stay out til the early morning. It's always safe to get home later, you won't be alone, and with a little luck, you'll have a last goodnight party on the train. If you're traveling alone, and dont' feel confortable going out alone, i'd recommend you to join the official pubcrawl : Tokyo Pub Crawl. It costs 2500 - 3000 yen. You get a free welcome shot, free shots while hopping from bar to bar, and after 2 or 3 bars, you get free entrance at a club, and of course you get a special discount with every drink order. So it's worth the money. The night we joined the crawl, there were easily around 50 people at the party, and it was a lot of fun. The crawl made it really easy to get in touch with people. Most of them were travelers, some were expats living in Tokyo, or japanese people who wanted to improve their language skills. Let's get back to Shinjuku! Another important part of Shinjuku is its beautiful and colorful park. It's the nicest I visited in Tokyo. You have to pay a tiny entrance fee of 200 or 300 yen. But it's super clean, no weirdos hanging around, no bums. Enjoy the park ! You will love it! It's a must-see while you're in Shinjuku. I visited Tokyo in march this year, and last year it was rather the end of spring. 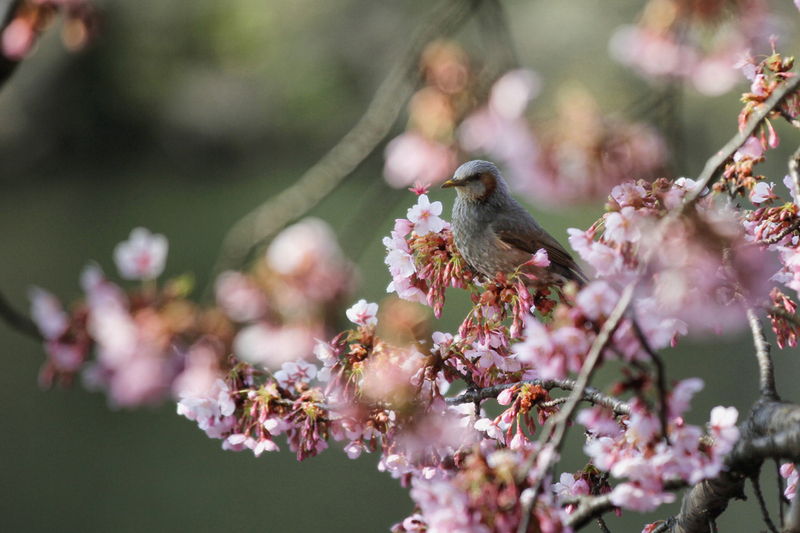 So after I experienced the colder temperatures in Japan, I definitely recommend you to visit Japan in spring! It makes such a big difference. The flowers and trees will be blooming, more colors everywhere. Hardly any rain in spring or summer. Especially the parks will be busier and offer a nicer color-palette than during the colder months. If you plan on entering Tokyo, or leaving for the airport by train, take the Skyliner-Express train! It costs around 2300 yen for a oneway-ticket, which is still cheaper than the regular JR LINE EXPRESS. But the Skyliner takes only 45 minutes, JR train around 80 minutes. When you get back to Narita Airport, you can catch the Skyliner-Express at the UENO station, to avoid the human traffic on bigger train stations. Look for the blue KEISEI-Line, and follow the signs. At the airport, or a the main train stations, you can rent a mobile wifi. This time I had the chance to rent a mobile device at our ryokan for 500 yen a day. It was so worth it! Reading street signs, and comparing them on a street map, can be so confusing, while "Google Maps" makes it way much easier to walk around the city. The mobile wifi device offers you a wifi spot, all over the city. Just put it on your bag or pocket, and you can get online anywhere, even on the subway. It saves you a lot of time and patience. While having free wifi in your pocket, make your journey even more easier with the smartphone app "Tokyo Subway Navigation". Check out the place you're aiming to visit on google-maps, and look for the nearest subway station. Enter the name of the station into the mobile application "Tokyo Subway Navigation", and it will tell you, which train line you need to take, how long it's gonna take, and it reveals you the exact price of the ride. You don't need to follow the colored subway line with your index finger anymore, to find out which is the fastest and easiest transfer line. The app does it all for you!